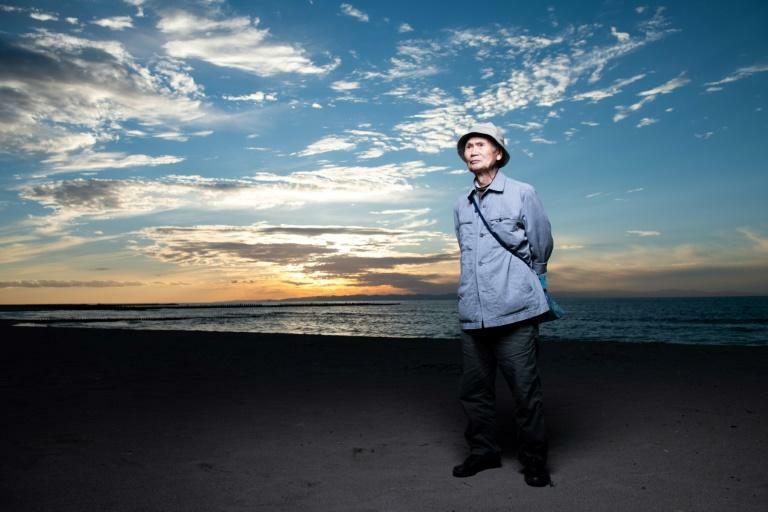 Harunori Kojima still remembers the hot tears of joy that warmed his face against the sleet as he watched two Soviet ships set sail in December 1959 from Japan's Niigata port. Destination: North Korea, which lured nearly 100,000 Koreans from Japan with fantastical propaganda promising returnees a "Paradise on Earth." Now 88, Kojima recalls how a brass band parped out patriotic tunes lauding then North Korean leader Kim Il Sung as some 1,000 people boarded the ships for a new life. They were part of a grand repatriation programme that continued on and off until 1984, carried out by the Red Cross Societies in Japan and North Korea and paid for by Pyongyang. In all, 93,340 people -- mainly Koreans but also Japanese spouses -- enthusiastically moved to North Korea, blissfully unaware it was a land of no return. Initially reluctant, the Japanese government also backed the scheme, with media touting it as a humanitarian campaign for Koreans struggling to build a life in Japan. But Kojima, who was a communist at the time and helped oversee the repatriation, now looks back on the scheme with bitterness. "I was actively involved in the project, believing it was something positive. But as a result, I led people into Hell," he told AFP. During Tokyo's 1910-1945 colonial rule of the Korean peninsula, millions of Koreans moved to Japan, either voluntarily or against their will. When Japan surrendered, hundreds of thousands of ethnic Koreans remained, reluctant to return to their devastated homeland. 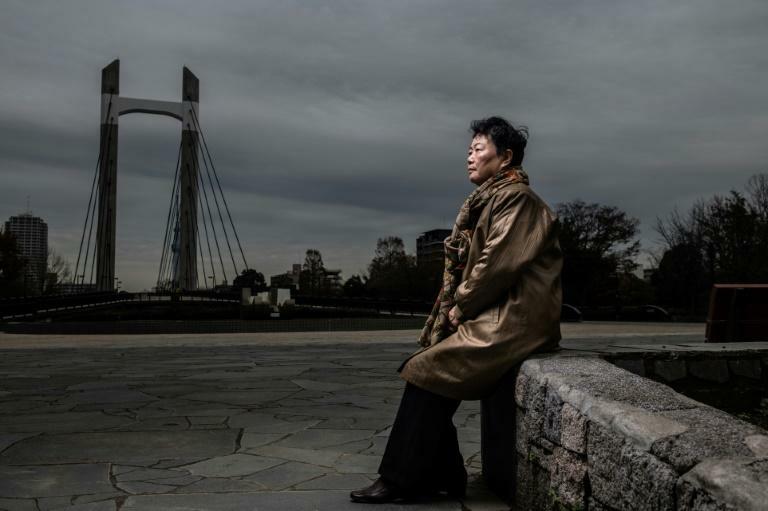 They were stripped of their Japanese nationality and became stateless. According to journalist and expert Yoshiaki Kikuchi, Kim's North -- economically better off than the South after the 1950-53 Korean war -- wanted to use the mass repatriation to emphasise Socialism's "superiority" over the US-puppet South. Most Koreans in Japan hailed from south of the 38th parallel but then South Korean President Syngman Rhee cut them adrift and former colonial ruler Japan offered no help to alleviate their poverty and discrimination. For these reasons, many believed propaganda films portraying an idyllic life in North Korea and submitted to the agents of the General Association of Korean Residents or Chongryon -- the de facto embassy of the North in Japan -- as they went door-to-door. But the reality in "Paradise" was a far cry from the propaganda. Eiko Kawasaki, now 76, was shocked to see the locals gathered to welcome them in the northeastern port of Chongjin. "The way the local people looked was heartbreaking. Both the men and the women had lifeless faces with darkened, dry skin. All wearing the same humble working clothes," Kawasaki recalled. She was 17 and had travelled alone, with her family set to follow, convinced by Chongryon propaganda. "They would say North Korea was a wonderful country where we could help build the Socialist state and then proudly go home after the North and South were unified," she said. "They would encourage us to go, saying we were disgraced and bullied (in Japan), unable to get decent jobs." The agents promised her "at least a three-month supply of rice" and that "a furnished house and beds" would be waiting for her. The reality was starvation and famine. But even though people were hungry, "no one protested," Kawasaki said, adding: "No one even questioned for what cause they were starving." She tried to hint to her family not to come in letters, hoping to fool censors who immediately imprisoned and often "purged" anyone who complained. It took her 10 years -- and 18 months hiding in China -- but Kawasaki eventually escaped back to Japan. Manabu Ishikawa, 60, once known as Lee Jay Hak, recalls living off scraps of grain at poultry farms that were considered unfit even for animals. He has never been able to erase the memory of a small girl, maybe nine or 10, dying of starvation on the street. "She was actually smiling... with relief, clutching a piece of bread in her hand," he said. Ishikawa fled to China in 2001 -- his wife and two sons followed later -- but many more were not so fortunate. The Chongryon accepts no criticism of the programme. 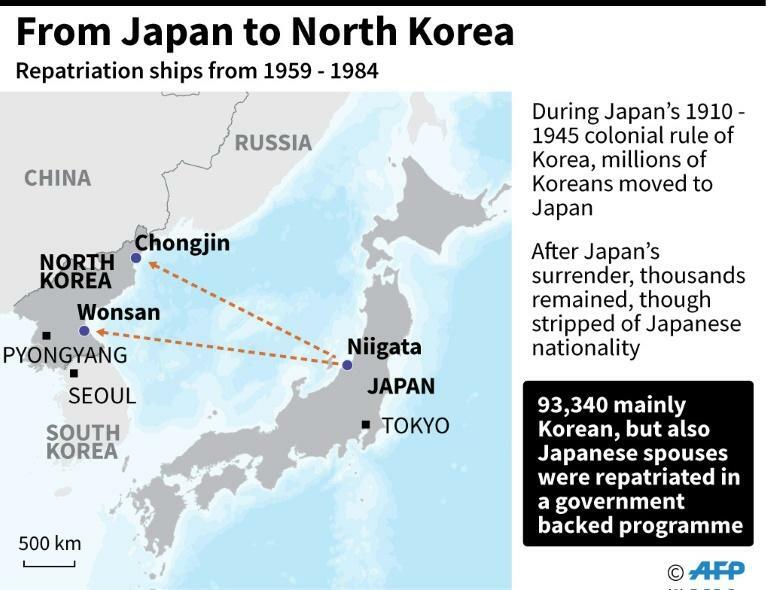 "It was a campaign to protect the rights of Koreans in Japan, the freedom to return to their fatherland," O Gyu Sang, a historian at the pro-Pyongyang body, told AFP. "If they had lived without discrimination and had jobs to make a living, not so many would have gone... Japanese politicians too must have thought it was a good chance to get rid of annoying Koreans." Last year, five former returnees, including Kawasaki and Ishikawa, sued North Korea and the country's leader, accusing them of "national kidnapping" and demanding those returnees left in the country be free to travel. The Tokyo District Court is expected to hear the case, lawyer Atsushi Shiraki said. "I dropped my Korean name long ago," Kawasaki said, partly to stay anonymous and protect her four children still living in the North. "I do not want to die without seeing my family again. But I cannot see them unless North Korea ends its rights violations."